Employees with the Utah Department of Natural Resources work in every corner of the state, and every year they submit photos in the hope of being featured in an annual calendar. In June of 2016, we added a new, living exhibit in the Great Salt Lake Gallery on the third floor of the museum. At first glance, the three stone-looking bumps in a tank aren’t as impressive as the Cretaceous monsters looming in the background. But their humble appearance masks what might be the most awesome creature on display: these lumpy guys are one of the oldest forms of life on Earth. City officials are anxiously waiting to find out if they will receive a $1.6 million Federal Emergency Management Agency grant to purchase properties and stabilize a hillside that has destroyed homes and is threatening others. The Utah Geological Survey recently garnered a 2016 National Award for Excellence from the Western States Seismic Policy Council (WSSPC) Board of Directors in partnership with the Northeast States Emergency Consortium (NESEC), the Central U.S. Earthquake Consortium (CUSEC), and the Cascadia Region Earthquake Workgroup (CREW). A couple of our geologists here at the UGS helped a team of researchers collect microbialites from Great Salt Lake for the Natural History Museum of Utah. Read more about these living rocks in this great write up. 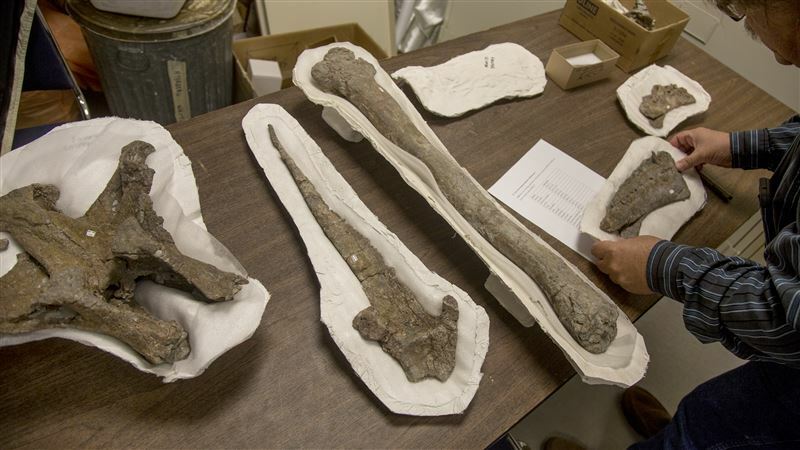 As Utah’s Great Salt Lake continues to drop during recent years of drought, something strange and wonderful is coming into focus in the shallows and exposed lake bed. 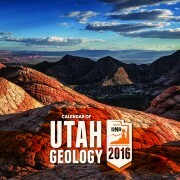 Another highlight on the 2016 Calendar of Utah Geology—get yours in time before they’re all gone! Get them in store at the Utah Natural Resources Map & Bookstore, or online HERE. 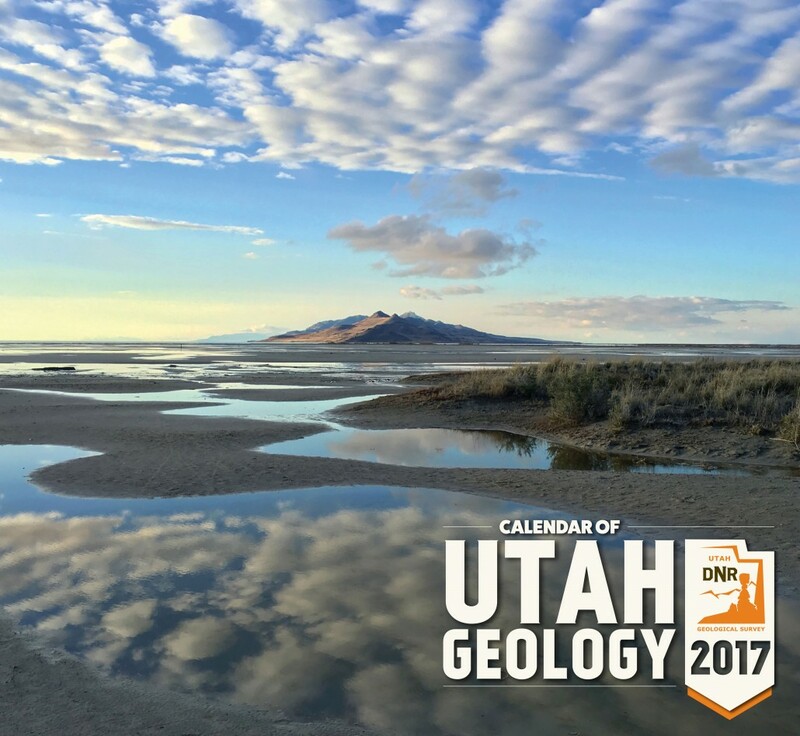 Some of Utah’s most spectacular displays of geography are once again being showcased in the annual calendar compiled by staff members of the Utah Geological Survey.